EnerGreen’s slim canopy fixture is the perfect replacement for 150w-250w indoor/outdoor metal halide canopy fixtures. 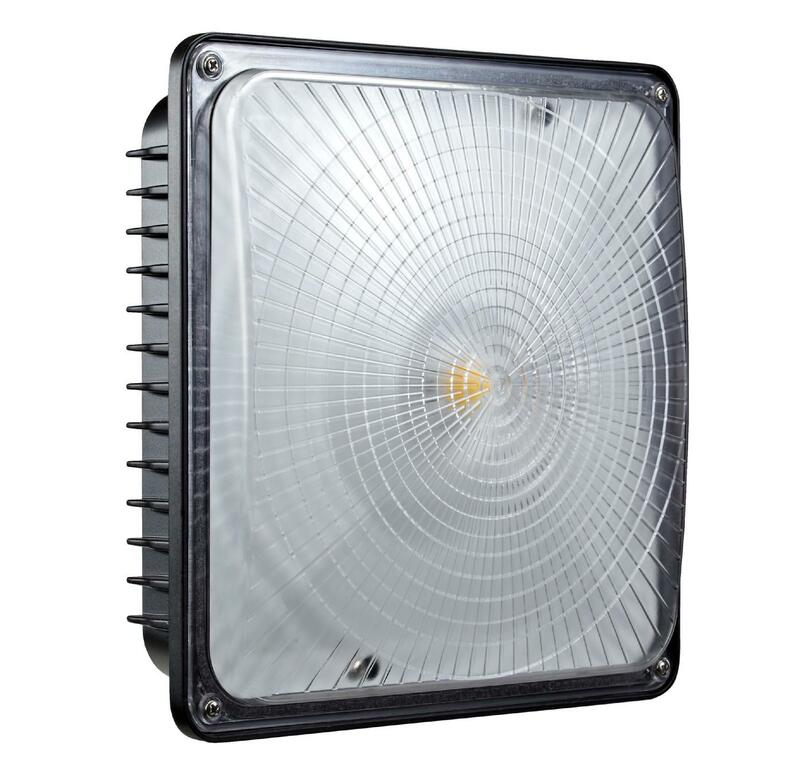 Available in 45w and 65w (in 120V and 347V), this fixture is ideal for parking facilities, storage areas, etc. 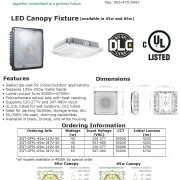 EnerGreen’s canopies have a 50,000hr rated lifespan, and are warrantied for 10 years. 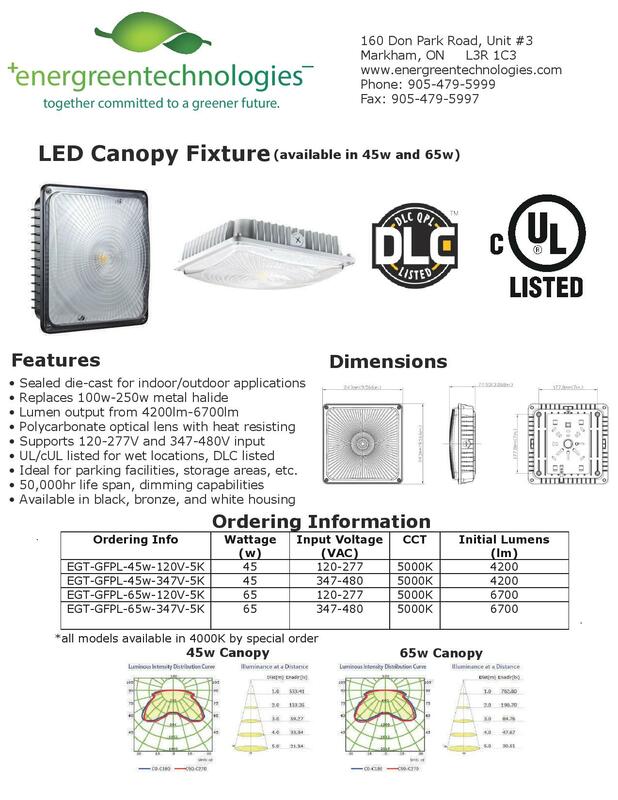 Our 45w and 65w canopy fixtures are DLC 4.4 listed.